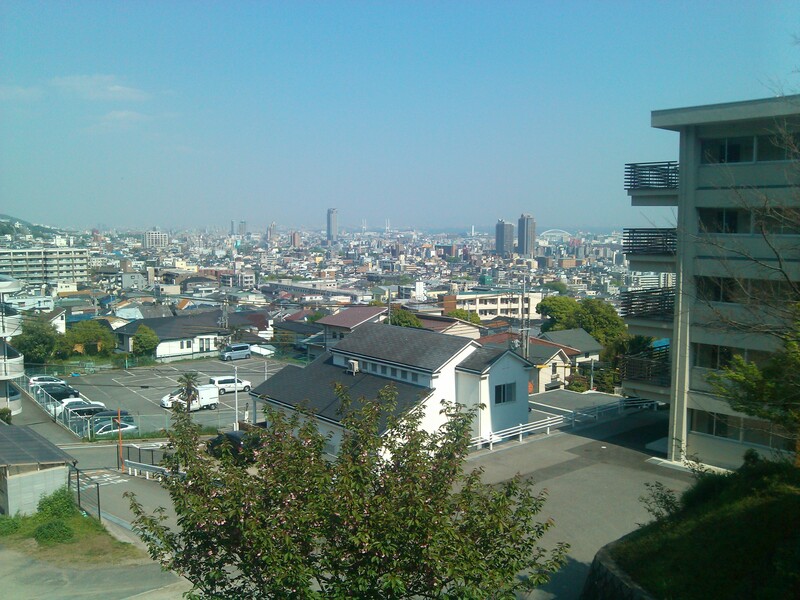 Before I came to Japan, I had not the slightest idea what to expect from the Double Degree program at Kobe University. Of course, I knew I had to take Japanese classes, but on how the university systems works, how many classes I had to take or how I should write my thesis and so on I couldn’t find any specific information. So I decided to describe my experiences up till now in this blog post, in the hope it will give aspiring Double Degree students an idea of their future university life. Please note that I can only inform you on the Double Degree program in Intercultural Studies at Kobe University, the program at other universities or graduate courses could be different. In Japan, the master course takes 2 years (M1 and M2). Students should obtain 30 credits in total over these 2 years, but as a Double Degree student, you aim for 20 credits during one year abroad. Up to 10 credits obtained in your home university are exempted to meet the master requirements. Make sure you have obtained these already (during first semester for example)! Since a class counts for 2 credits, you take 8 regular classes and thesis counseling every semester (=2×2 credits). You can choose any class you want, although you are advised to take some classes on your thesis topic or specialization. There is an extensive list of classes they will send to you in advance, but the best way is to select based on your interest and knowledge, and to try them out during the first week. You can sign up during registration period. It is also wise to take more classes in first semester since you are busy writing a thesis/final report in the second. Speaking of reports, there are two options: either you write your thesis in Japanese (if approved when applying) or you write an extended report in Japanese (20~30 pages), like is usually done by M1 students. You do not get extra credits for this, but you take thesis counseling like I said before. The counseling takes place at a regular basis (once in two weeks in my case) and you should present your progress to your supervising professor – whose field of specialization is close to your thesis topic. As a Double Degree student from Leuven I was assigned a professor specializing in Belgium. The supervisor advises you, lends you books and helps you writing your thesis or report. As things may be still unclear in the beginning, at the start of the first semester you will be flooded with information, brochures and paper work (I could stuff one drawer with it after introduction week). 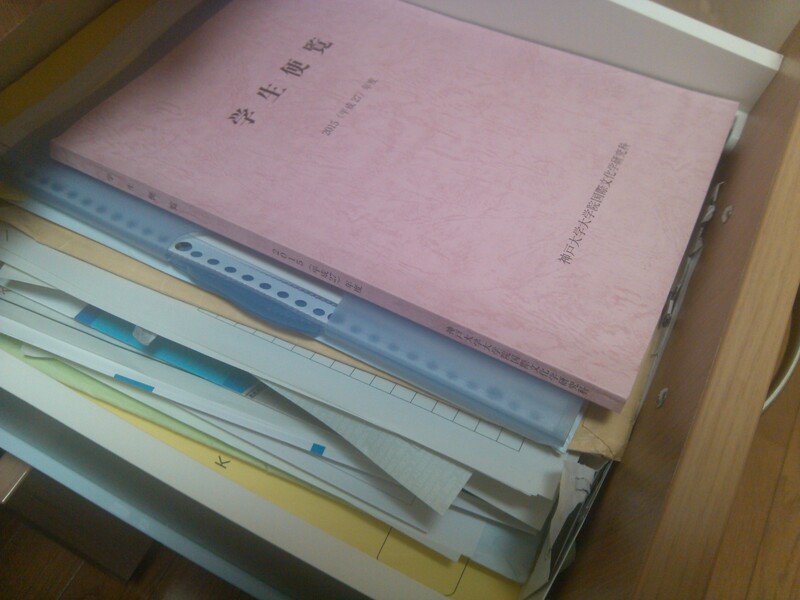 Graduate students receive an over 200 pages manual (学生便覧 gakuseibenran) on deadlines, specific rules and detailed information. And if you are still not sure about something, you can always ask your tutor, an assigned Japanese student who will be happy to help you out. Classes last for 90 minutes (without break). Between lessons, there is a 20 minute break to change classrooms. Careful readers may have noticed the irregularity from the 5th period on. The schedule above is for master students; the 5th period mysteriously starts later than for bachelor students (so don’t trust the school bell that time). 6th period classes are highly unusual. On the way to the faculty. You don’t see it on the picture, but at the left there is a stable for the university horse riding club. 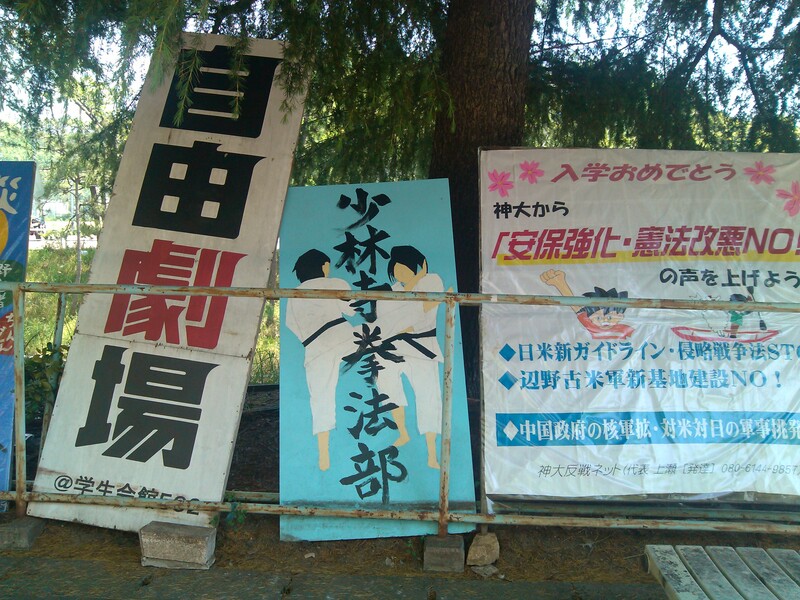 Most of the master classes are seminars (演習 enshū). This means students are required to participate in discussions, give presentations, and prepare for every class. A seminar belongs to a certain field (I follow art, bioethics, japanology, society etc) but the content of a series of classes is different every semester. 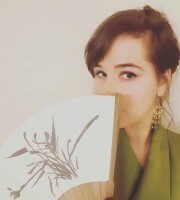 For example, some seminars are based on textbook(s) written by specialized scholars and focus on a particular event or topic (art: literature on the Charlie Hebdo shooting; bioethics: iatrogenic diseases; japanology: Japanese movies and cinema techniques; society: immigration). Every week students prepare a report: we have to read a chapter or text and write a one/two page report about it with our own reflections, criticism and points of uncertainty. During class, a detailed resume of the text is presented by one student (rotation system). After that, every one takes part in the discussion. Lectures (講義 kōgi) are unusual, due to the fact that there are very few master students compared to Belgium. I take classes with 2 to maximum 8 other students. This makes it more easy (and less avoidable) to participate actively. It is also possible that a class is a mix of lecture and seminar. In any case, preparation is required for all master courses. Students are graded based on their attendance, participation, weekly homework, presentations and final report. A lot of reading, speaking and writing in Japanese awaits you! I experienced and still experience this as difficult as I sometimes feel bad for not always being able to express myself in Japanese as clearly and eloquent I could have done in my mother tongue. I felt rather unproductive at first, because reading or writing a text takes much longer than expected and days are short here. I guess this is a challenge for every exchange student, so don’t let it take you down. 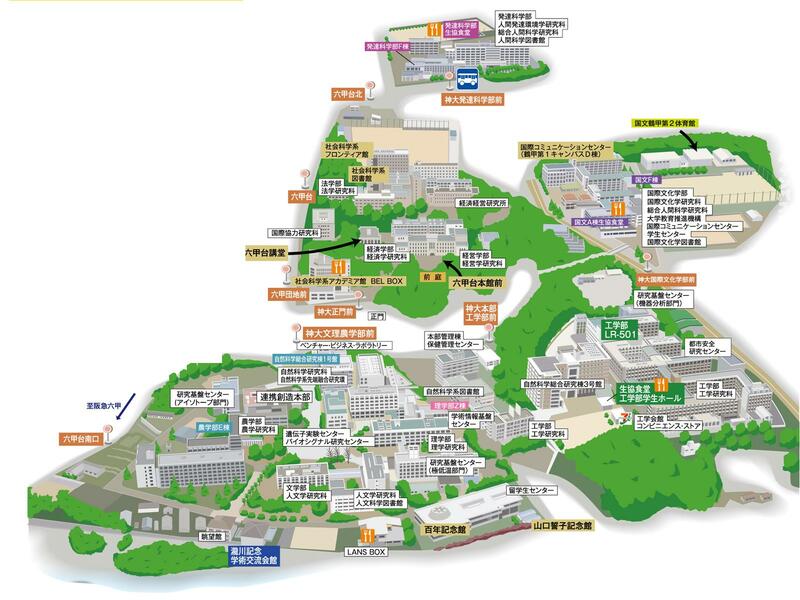 Also, there are many non-Japanese master students at Kobe University. You are not alone! As a Double Degree student you take these master classes, but you are also allowed to take Japanese language classes (no credits) at the International Student Center. I take a special class preparing for the Japanese Language Proficiency Test (日本語能力試験nihongo nōryoku shiken) N1. You can take this test at university twice a year (I have enrolled for July). The test is not available in Belgium, so this is your chance! There are 5 levels (N5 is easiest, N1 most difficult) and it costs 5,500 Yen. Another class I take aiming at foreign master students is academic writing (2 credits), which should enhance my writing skills in Japanese. 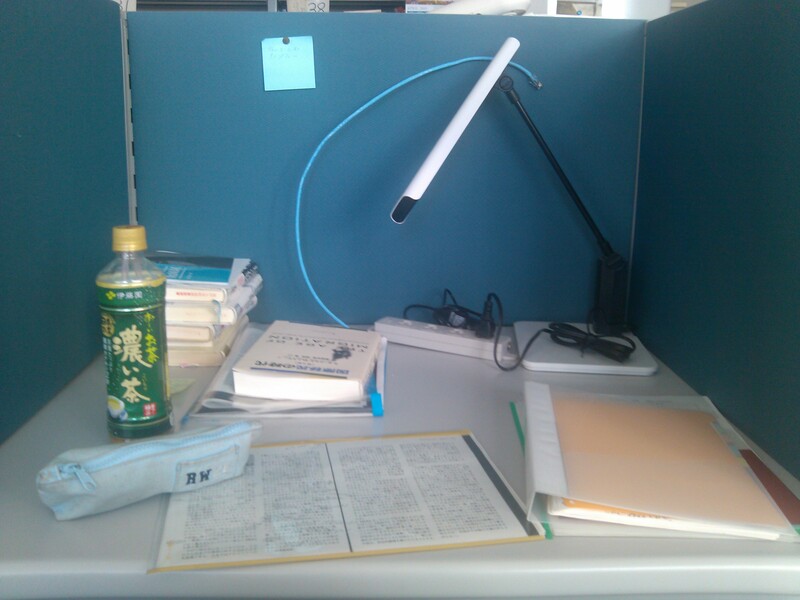 Most master students, as well as research students, are assigned a desk in the research room (研究室 kenkyūshitsu). I was pleasantly surprised to get my own work spot, a privilege which, in Belgium, is only given to research students. Next to that, there are computers, books, stationery, printers and a copy room everyone can use freely. There is a refrigerator, microwave, electric kettle and tableware, and you can have lunch in the cozy sofas. I have my own key and can leave books and school stuff at my desk when it is too heavy to carry home. It is good to have a place where I can focus on my work. Unlike most exchange students, Double Degree students are granted a “real” student ID with which we can use library services (up to 20 books can be borrowed for 1 month) and digital databases. We also receive a copy card. But there is more than classes and studying. 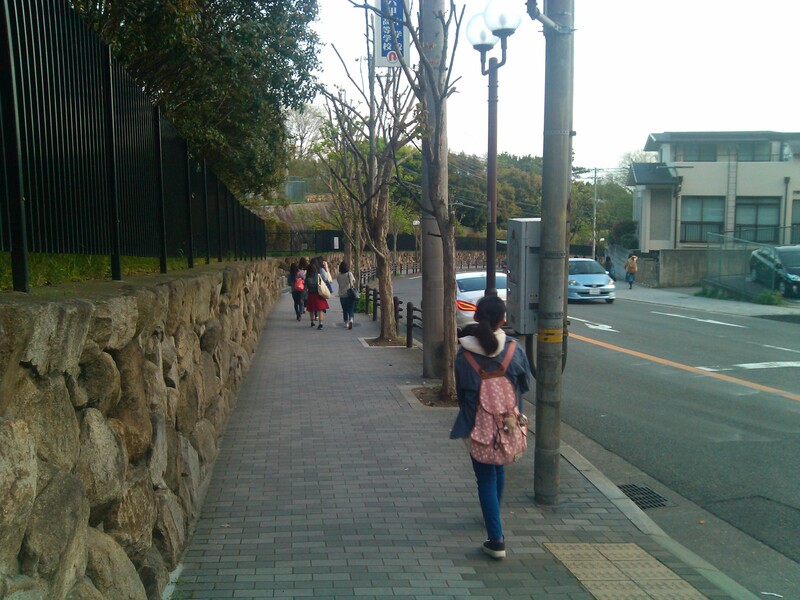 By describing my daily routine I will try to give you an idea of university life in Japan. I usually wake up around 7 or 8. I don’t have classes in the morning, but prefer to go to school earlier for several reasons: 1) going to school together with a friend is more fun 2) it is most likely I won’t do anything before noon if I can choose when to wake up 3) It is not yet that hot in the morning. I try to pack a bentō 弁当 lunch box as often as possible, to save money and to be sure lunch will be vegetarian (I am working on a food post!). I also check the weather forecast every morning, in case I should bring an umbrella or apply sunscreen. If I can give some advice on clothes, especially for the girls: don’t bother to bring tank or strap tops to Japan, for some reason it is not done to show your shoulders and/or cleavage. You can wear tops with sleeves or bolero vests to cover up. Now it is around 25 degrees here (summer for Belgians) and the Japanese are wearing pullovers and coats. Short skirts are no problem at all, although everyone wears sheer stockings underneath. I can also recommend at least two pairs of walking shoes. Shoes are expensive here, and Japanese people have smaller feet than we, Europeans. And you will walk a lot, I guarantee that. The trip to school is usually the hardest one of the day. If I could describe Kobe in one word, it would be “slope” (坂saka), ironically, a bigger slope than Osaka 😉 . 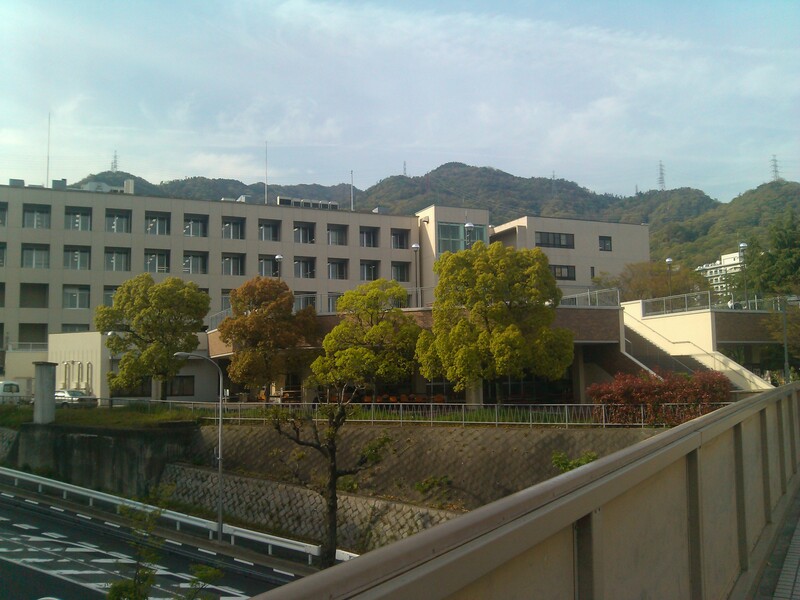 The university campus is situated on Rokkō Mountain (六甲山), Kokui dorm close by Maya Mountain (摩耶山). As a result, the road is downhill and uphill and it can get pretty hot. Up till now, I have only taken the bus in bad weather circumstances. It takes 20 to 30 minutes to get to the campus, and another 15 minutes to get to Intercultural Studies. The campus is as big as Leuven in total, I guess. Once arrived, I usually spend some time at the research room, preparing a presentation, doing research or making homework. I have lunch at the Intercultural Café, together with the other exchange students and tutors. 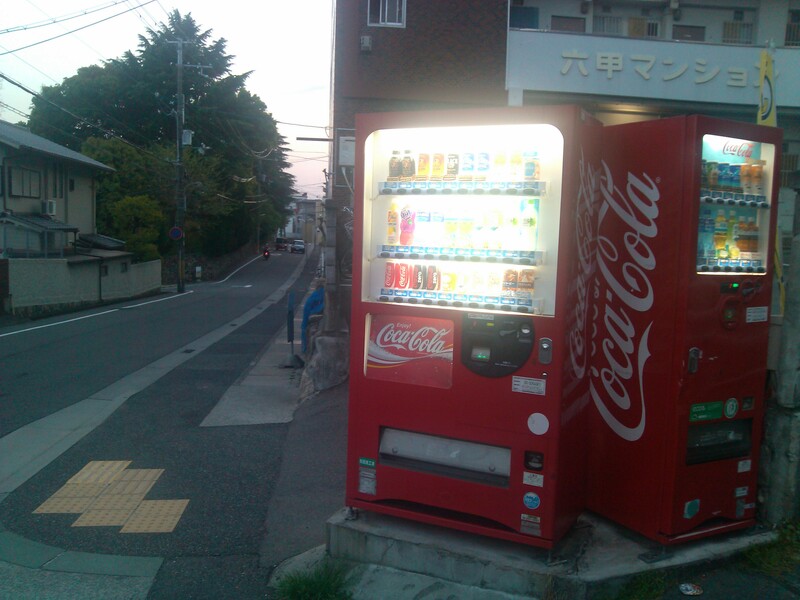 If I didn’t bring a bentō, I buy food at the cafetaria or コンビニ konbini (convenience store). You can just take your food tray outside and bring it back when finished. The IC Café is also a meeting place for Japanese students who want to chat a bit with foreigners or practice their language skills. French, for example, which seems to be an extremely popular language at Kobe University. Although my mother tongue is Dutch, I have studied French in school, so people often ask me to review their text or to correct their pronunciation. It feels like I have spoken more French in one month in Japan than in four years in Belgium… Never thought I would brush up my French here as well! After lunch, I have class (one or two a day). Then I return to the research room to finish some homework. When I get hungry – I mostly stay at school till past 7pm, so when I get home and prepare dinner, it is already 8:30pm – I get a snack from the mini-market or eat a home-cooked onigiri. A lot of people stay at school till late at evening. You can hear music outside, because there are orchestras, choirs and a capella groups which practice daily. Sometimes I am asked to participate in an extracurricular activity, like the Belgian movie evening, or a working group on the foreign study trip. 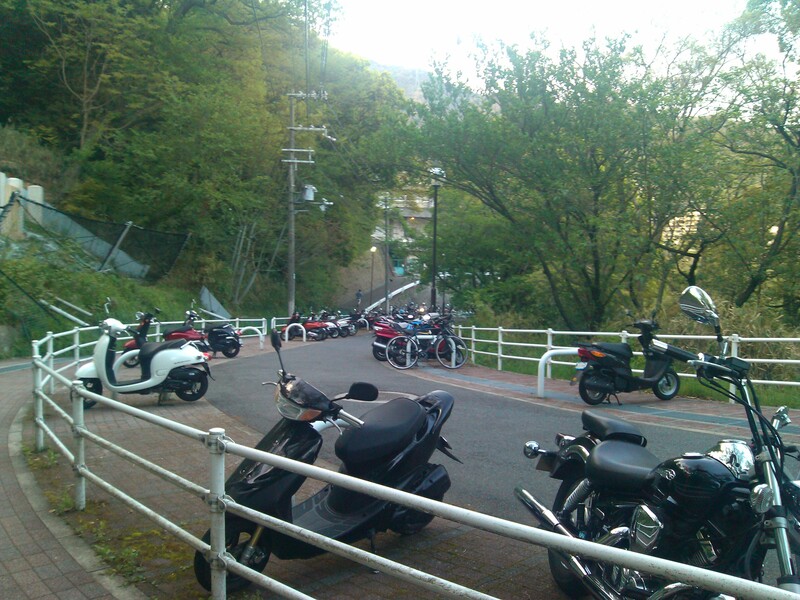 On invitation of a friend, I joined a クラブ kurabu or 部 bu (university club): 少林寺拳法部 shōrinji kenpōbu. Shōrinji is a modern Japanese martial art based on the Chinese Shaolin Kung Fu. It requires concentration, strength, discipline, speed and an impressive elegance. It is nice to do some sports (besides mountain walking), moreover a typically Japanese sport, and to get to know Japanese students from other faculties. There is training almost every day, but members are free to join whenever they want to. I have set my goal at once or twice a week. Martial arts are totally new to me, but everyone is very kind and teaches me with endless patience. There are probably lots of things I have forgotten to write down. If you have any questions, don’t hesitate to ask! * It is not a myth, insects are huge here. I encountered some bees on my way to school, they are at least as double as big as the ones you find in Belgium. Around the size of a thumb. I am not afraid of insects, but I freaked out slightly when I heard one buzzing next to my ear. * Apart from the insects, nature is indeed spectacular here. The woods, the mountains… And I have quite a view from my dorm. The mascot of Kobe University is a wild baby boar, うりぼう uribō (the big one is イノシシ inoshishi). It is said you can see them at night on campus.